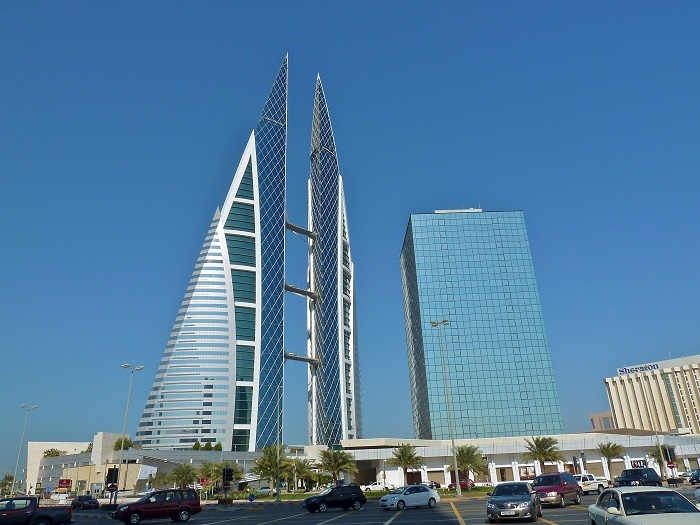 The Bahrain World Trade Center is an unique twin tower skyscraper complex, that is located in the capital city of the Kingdom of Bahrain, Manama. 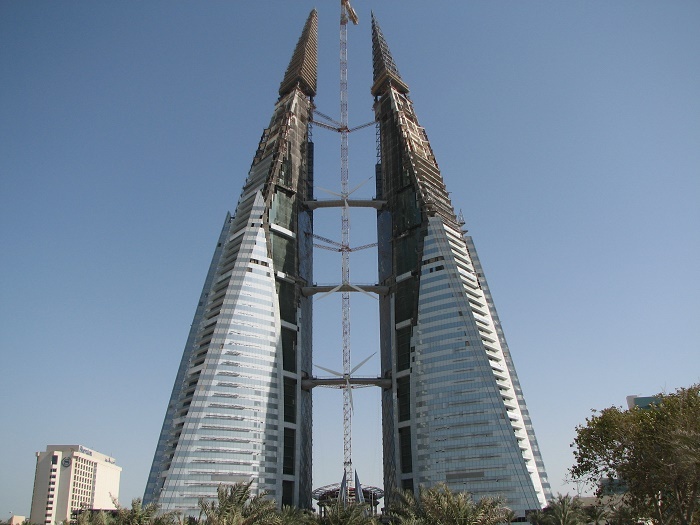 The Bahrain WTC started being built in 2004, at a projected cost of 150 million dollars, completing it in 2008. 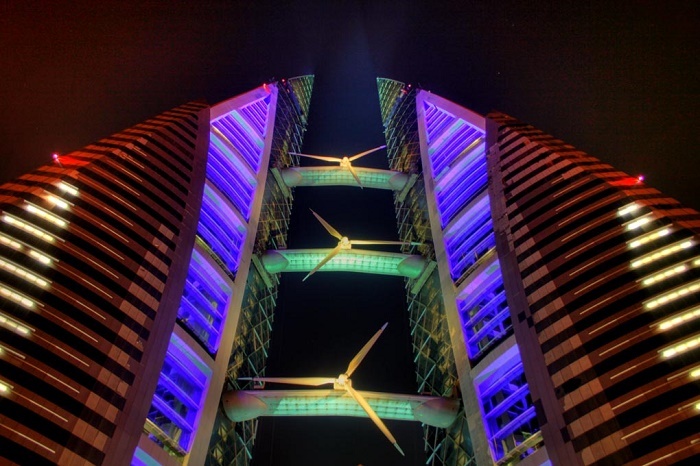 There are two distinct towers linked with three sky bridges which hold 225 kW wind turbines, that have a diameter of 29 meters (95 feet). 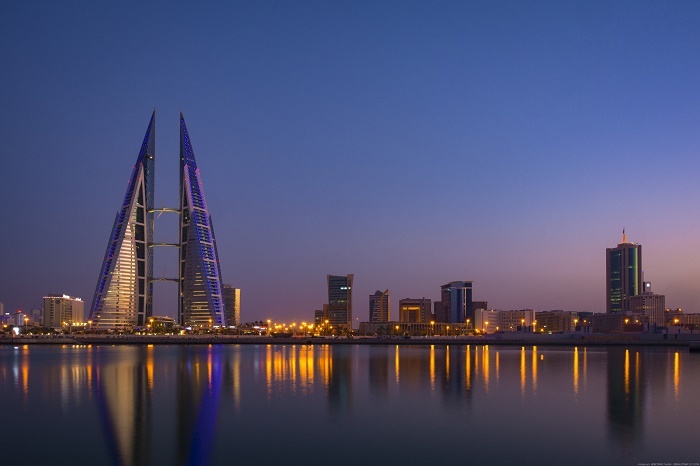 With a total height of 240 meters (787 feet) together with the antenna spire, they are one of the tallest buildings in the small Kingdom. 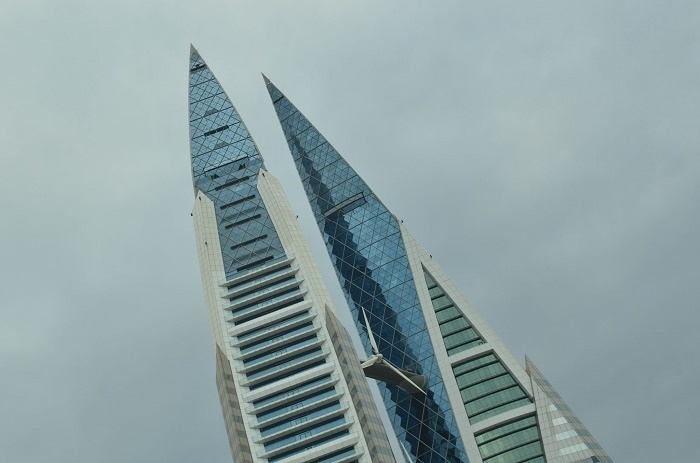 The Bahrain WTC features an interesting shape of the buildings representing sails, that hold the winds which blows from the Persian Gulf. 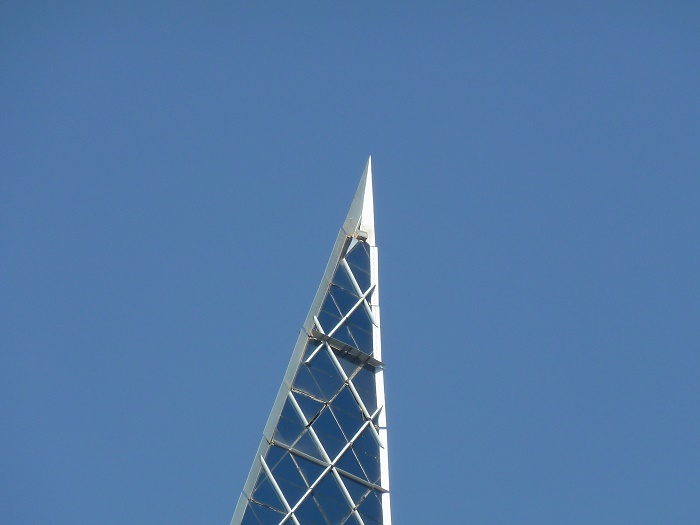 Built according to the design of British company Atkins, it has been necessary to introduce sustainability to the buildings. 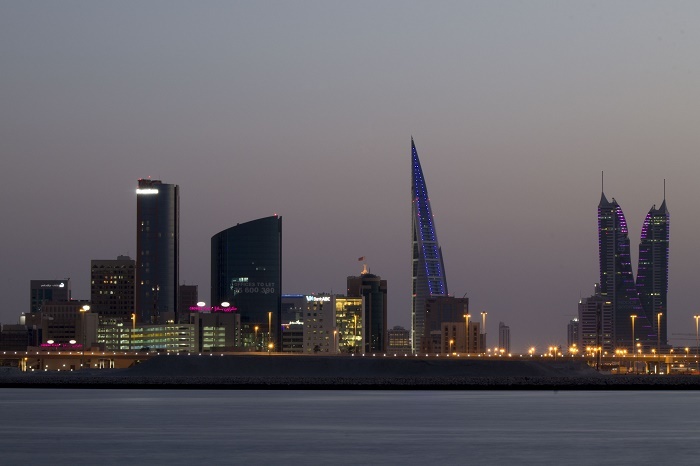 At first, it was proposed to bring solar panels, however, the heat conditions of Bahrain did not allow that. 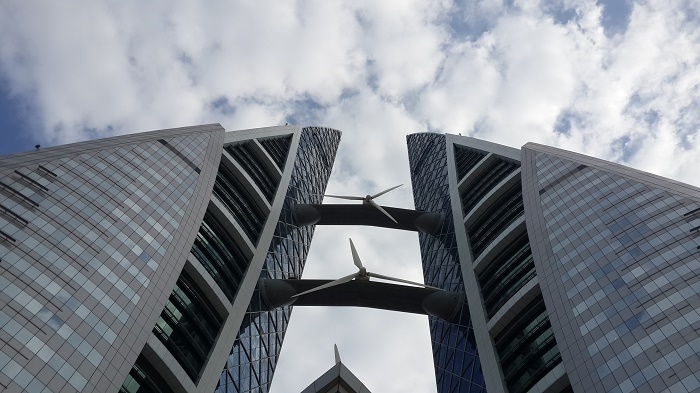 So, the key which was far better solution because the design of the towers helps to funnel and accelerate the wind velocity, makes the wind turbines much more productive and efficient. 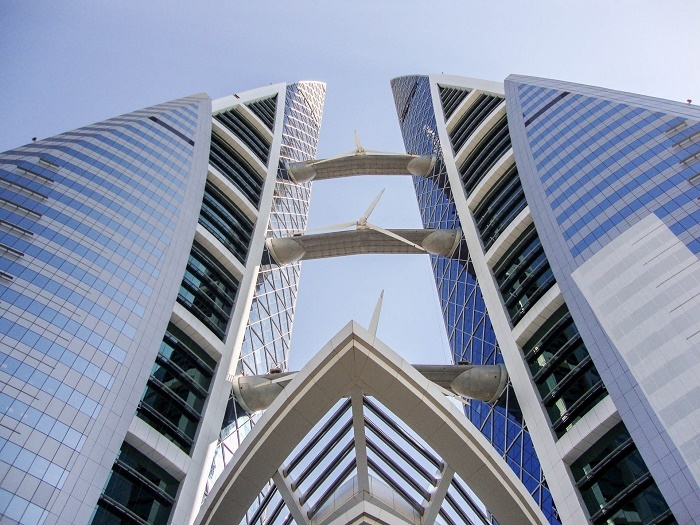 Furthermore, the difference in the vertical shape of the towers should help reduce the pressure differences between the bridges, which, when combined with an increased wind speed at the higher levels, should provide an equal velocity among the turbines. All this will provide for an even greater efficiency in the powering of the generators. As a matter in fact, they are producing between 11% and 15% of the total power consumption of the towers per year. 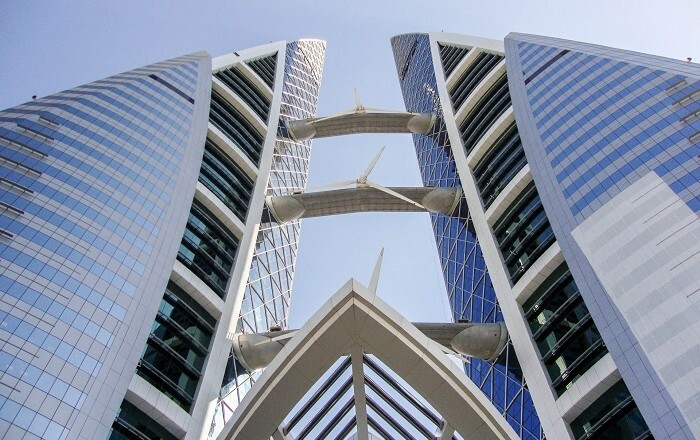 Nevertheless, this amazing architectural structure, counting 50 floors, has a unique and recognizable design, not just for the wind turbines, but also for the steel and glass façade, that looks like synergy of three different buildings, making one grandiose structure. 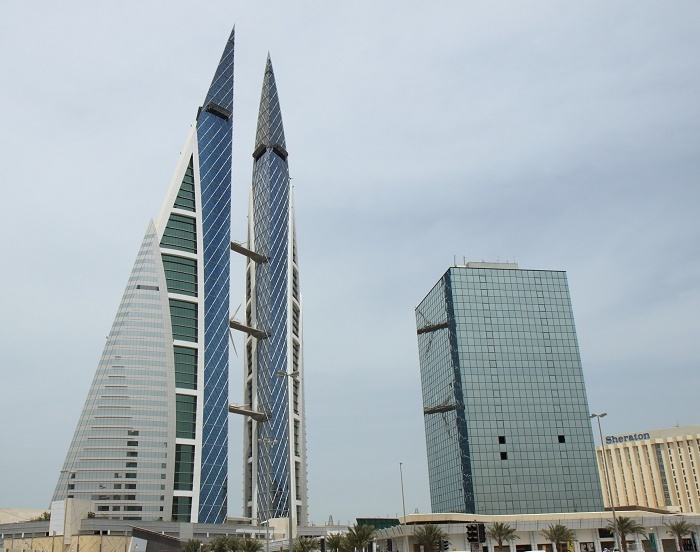 The Bahrain WTC today represents a modern and exemplary skyscraper which should be brought in the books of architecture as one of the most helpful designs for the future, which every architect should follow.